A look at the perpetuity and change of the Sabbath Day for the Christian. 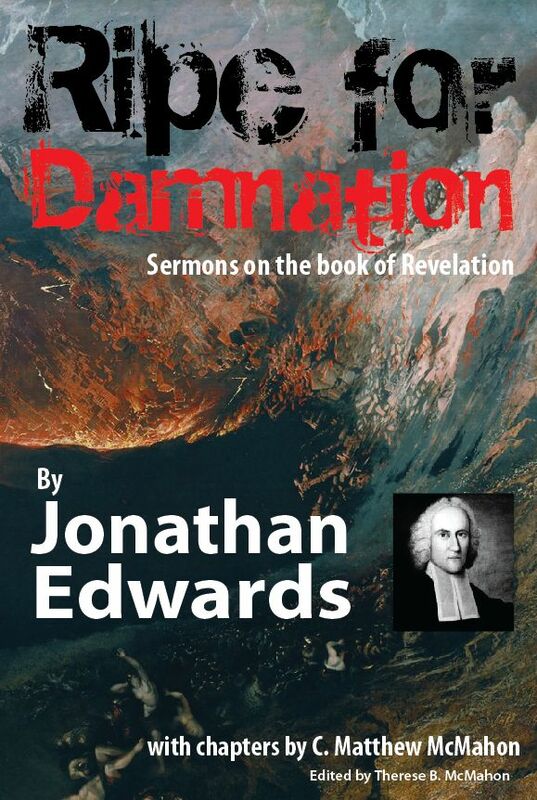 The reader is exhorted to read Edwards’ third sermon in this series which is the practical application of the doctrine. 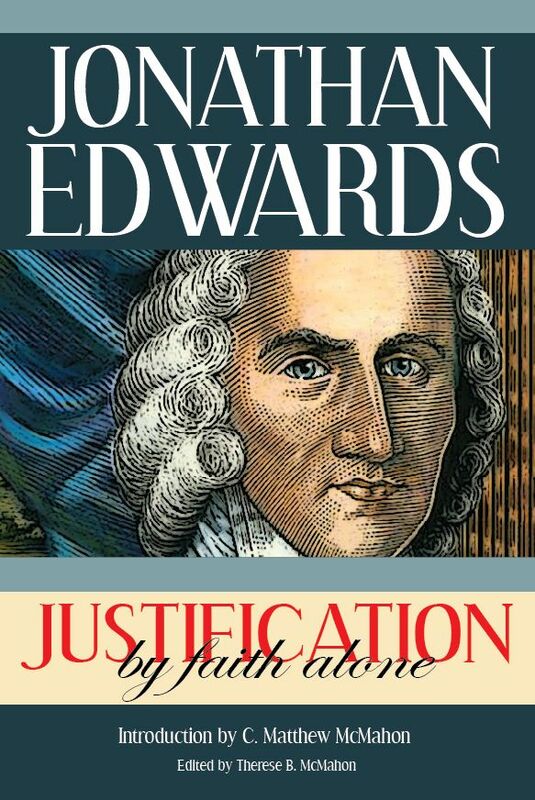 It is available in Volume 2 pages 100-103 in the Works of Jonathan Edwards published by Banner of Truth. Now concerning the collection for the saints, as I have given order to the churches of Galatia, even so do ye. Upon the first day of the week, let every one of you lay by him in store, as God hath prospered him, that there be no gatherings when I come. Subject: That it is the mind and will of God that the first day of the week should be the day that should be especially set apart for religious exercises and duties among Christians. II. We may observe the time on which the apostle directs that this should be done, viz. “on the first day of the week.” By the inspiration of the Holy Ghost he insists upon it, that it be done on such a particular day of the week, as if no other day would do so well as that, or were so proper and fit a time for such a work. — Thus, although the inspired apostle was not for making that distinction of days in gospel times, which the Jews made, as appears by Gal. 4:10, “Ye observe days, and months,” etc., yet here he gives the preference to one day of the week, before any other, for the performance of a certain great duty of Christianity. III. It may be observed that the apostle had given to other churches, that were concerned in the same duty, to do it on the first day of the week: “As I have given orders to the churches of Galatia, even so do ye.” Whence we may learn, that it was nothing peculiar in the circumstances of the Christians at Corinth, which was the reason why the Holy ghost insisted that they should perform this duty on this day of the week. The apostle had given the like orders to the churches of Galatia. Now Galatia was far distant from Corinth: the sea parted them, and there were several other countries between them. Therefore it cannot be thought that the Holy Ghost directs them to this time upon any secular account, having respect to some particular circumstances of the people in that city, but upon a religious account. In giving the preference to this day for such work, before any other day, he has respect to something which reached all Christians throughout the wide world. And by other passages of the New Testament, we learn that the case was the same as to other exercises of religion, and that the first day of the week was preferred before any other day, in churches immediately under the care of the apostles, for an attendance on the exercises of religion in general. Acts 20:7, “Upon the first day of the week, when the disciples came together to break bread, Paul preached unto them.” It seems by these things to have been among the primitive Christians in the apostles’ days, with respect to the first day of the week, as it was among the Jews, with respect to the seventh. We are taught by Christ, that the doing of alms and showing of mercy are proper works for the Sabbath-day. When the Pharisees found fault with Christ for suffering his disciples to pluck the ears of corn, and eat on the Sabbath, Christ corrects them with that saying, “I will have mercy and not sacrifice;” Mat. 12:7. And Christ teaches that works of mercy are proper to be done on the Sabbath, Luke 13:15, 16, and 14:5. — These works used to be done on sacred festivals and days of rejoicing under the Old Testament, as in Nehemiah’s and Esther’s time, Neh. 8:10 and Est. 9:19, 22. — And Josephus and Philo, two very noted Jews, who wrote not long after Christ’s time, give an account that it was the manner among the Jews on the Sabbath, to make collections for sacred and pious uses. It is the mind and will of God that the first day of the week should be especially set apart among Christians for religious exercises and duties. That this is the doctrine which the Holy Ghost intended to teach us, by this and some other passages of the New Testament, I hope will appear plainly by the sequel. This is a doctrine that we have been generally brought up in by the instructions and examples of our ancestors, and it has been the general profession of the Christian world, that this day ought to be religiously observed and distinguished from other days of the week. However, some deny it. Some refuse to take notice of the day, as different from other days. Others own that it is a laudable custom of the Christian church, into which she fell by agreement and by appointment of her ordinary rulers, to set apart this day for public worship. But they deny any other original to such an observation of the day, than prudential human appointment. Others religiously observe the Jewish Sabbath, as of perpetual obligation, and that we want a foundation for determining that that is abrogated, and another day of the week is appointed in the room of the seventh. All these classes of men say that there is no clear revelation that it is the mind and will of God, that the first day of the week should be observed as a day to be set apart for religious exercises, in the room of the ancient Sabbath, which there ought to be in order to the observation of it by the Christian church as a divine institution. They say that we ought not to go upon the tradition of past ages, or upon uncertain and far-fetched inferences from some passages of the history of the New Testament, or upon some obscure and uncertain hints in the apostolic writings. But that we ought to expect a plain institution, which they say we may conclude God would have given us, if he had designed that the whole Christian church, in all ages, should observe another day of the week for a holy Sabbath, than that which was appointed of old by plain and positive institution. So far it is undoubtedly true that if this be the mind and will of God, he has not left the matter to human tradition, but has so revealed his mind about it, in his Word, that there is to be found good and substantial evidence that it is his mind. Doubtless, the revelation is plain enough for them that have ears to hear: that is for them that will justly exercise their understandings about what God says to them. No Christian, therefore, should rest till he has satisfactorily discovered the mind of God in this matter. If the Christian Sabbath be of divine institution, it is doubtless of great importance to religion that it be well kept, and therefore, that every Christian be well acquainted with the institution. If men take it only upon trust, and keep the first day of the week because their parents taught them so, or because they see others do it, they will never be likely to keep it so conscientiously and strictly, as if they had been convinced by seeing for themselves that there are good grounds in the Word of God for their practice. Unless they do see thus for themselves, whenever they are negligent in sanctifying the Sabbath or are guilty of profaning it, their consciences will not have that advantage to smite them for it, as otherwise they would. — And those who have a sincere desire to obey God in all things, will keep the Sabbath more carefully and more cheerfully, if they have seen and been convinced that therein they do what is according to the will and command of God, and what is acceptable to him. [They] will also have a great deal more comfort in the reflection upon their having carefully and painfully kept the Sabbath. Therefore, I design now, by the help of God, to show that it is sufficiently revealed in the Scriptures, to be the mind and will of God, that the first day of the week should be distinguished in the Christian church from other days of the week, as a Sabbath, to be devoted to religious exercises. In order to this, I shall here premise that the mind and will of God, concerning any duty to be performed by us, may be sufficiently revealed in his Word, without a particular precept in so many express terms, enjoying it. The human understanding is the ear to which the Word of God is spoken; and if it be so spoken, that that ear may plainly hear it, it is enough. God is sovereign as to the manner of speaking his mind, whether he will speak it in express terms, or whether he will speak it by saying several other things which imply it, and from which we may, by comparing them together, plainly perceive it. If the mind of God be but revealed, if there be but sufficient means for the communication of his mind to our minds, that is sufficient: whether we hear so many express words with our ears, or see them in writing with our eyes, or whether we see the thing that he would signify to us, by the eye of reason and understanding. Who can positively say that if it had been the mind of God, that we should keep the first day of the week, he would have commanded it in express terms, as he did the observation of the seventh day of old? Indeed, if God had so made our faculties, that we were not capable of receiving a revelation of his mind in any other way, then there would have been some reason to say so. But God has given us such understandings, that we are capable of receiving a revelation, when made in another manner. And if God deals with us agreeably to our natures, and in a way suitable to our capacities, it is enough. If God discovers his mind in any way whatsoever, provided it be according to our faculties, we are obliged to obedience, and God may expect our notice and observance of his revelation, in the same manner as if he had revealed it in express terms. I shall speak upon this subject under these two general propositions. I. It is sufficiently clear, that it is the mind of God, that one day of the week should be devoted to rest, and to religious exercises, throughout all ages and nations. II. It is sufficiently clear, that under the gospel-dispensation, this day is the first day of the week. I. Prop. It is sufficiently clear that it is the mind of God, that one day of the week should be devoted to rest and to religious exercises, throughout all ages and nations: not only among the ancient Israelites, till Christ came, but even in these gospel times and among all nations professing Christianity. First, from the consideration of the nature and state of mankind in this world, it is most consonant to human reason that certain fixed parts of time should be set apart, to be spent by the church wholly in religious exercises, and in the duties of divine worship. It is a duty incumbent on all mankind, in all ages alike, to worship and serve God. His service should be our great business. It becomes us to worship him with the greatest devotion and engagedness of mind, and therefore to put ourselves, at proper times, in such circumstances as will most contribute to render our minds entirely devoted to this work, without being diverted or interrupted by other things. The state of mankind in this world is such that we are called to concern ourselves in secular business and affairs, which will necessarily, in a considerable degree, take up the thoughts and engage the attention of the mind. However, some particular persons may be in circumstances more free and disengaged. Yet the state of mankind is such that the bulk of them, in all ages and nations, are called ordinarily to exercise their thoughts about secular affairs, and to follow worldly business, which in its own nature, is remote from the solemn duties of religion. It is therefore most meet and suitable that certain times should be set apart, upon which men should be required to throw by all other concerns: that their minds may be the more freely and entirely engaged in spiritual exercises in the duties of religion and in the immediate worship of God, and that their minds being disengaged from common concerns, their religion may not be mixed with them. It is also suitable that these times should be fixed and settled, that the church may agree therein and that they should be the same for all, that men may not interrupt one another, but may rather assist one another by mutual example: for example has a great influence in such cases. If there be a time set apart for public rejoicing, and there be a general manifestation of joy, the general example seems to inspire men with a spirit of joy: one kindles another. So, if it be a time of mourning, and there be general appearances and manifestations of sorrow, it naturally affects the mind: it disposes it to depression, it casts a gloom upon it, and does as it were dull and deaden the spirits. So, if a certain time be set apart as holy time, for general devotion and solemn religious exercises, a general example tends to render the spirit serious and solemn. Second, without doubt, one proportion of time is better and fitter than another for this purpose. One proportion is more suitable to the state of mankind and will have a greater tendency to answer the ends of such times, than another. The times may be too far asunder. I think human reason is sufficient to discover that it would be too seldom for the purposes of such solemn times, that they should be but once a year. So, I conclude, nobody will deny but that such times may be too near together to agree with the state and necessary affairs of mankind. Therefore, there can be no difficulty in allowing that some certain proportion of time, whether we can exactly discover it or not, is really fittest and best — considering the end for which such times are kept, and the condition, circumstances, and necessary affairs of men; and considering what the state of man is, taking one age and nation with another — more convenient and suitable than any other, which God may know and exactly determine, though we, by reason of the scantiness of our understandings, cannot. As a certain frequency of the returns of these times may be more suitable than any other, so one length or continuance of the times themselves may be fitter than another, to answer the purposes of such times. If such times, when they come, were to last but an hour, it would not well answer the end. For then worldly things would crowd too nearly upon sacred exercises, and there would not be that opportunity to get the mind so thoroughly free and disengaged from other things, as there would be if the times were longer. Being so short, sacred and profane things would be as it were mixed together. Therefore, a certain distance between these times, and a certain continuance of them when they come, is more proper than others, which God knows and is able to determine, though perhaps we cannot. Third, it is unreasonable to suppose any other, than that God’s working six days and resting the seventh, and blessing and hallowing it, was to be of general use in determining this matter. It was written that the practice of mankind in general might some way or other be regulated by it. What could be the meaning of God’s resting the seventh day and hallowing and blessing it, which he did before the giving of the fourth commandment, unless he hallowed and blessed it with respect to mankind? For he did not bless and sanctify it with respect to himself, or that he within himself might observe it: as that is most absurd. And it is unreasonable to suppose that he hallowed it only with respect to the Jews, a particular nation, which rose up above two thousand years after. So much therefore must be intended by it, that it was his mind, that mankind should, after his example, work six days and then rest and hallow or sanctify the next following: that they should sanctify every seventh day, or that the space between rest and rest, one hallowed time and another, among his creatures here upon earth, should be six days. — So that it hence appears to be the mind and will of God that not only the Jews, but man in all nations and ages, should sanctify one day in seven: which is the thing we are endeavoring to prove. Fourth, the mind of God in this matter is clearly revealed in the fourth commandment. The will of God is there revealed, not only that the Israelitish nation, but that all nations, should keep every seventh day holy, or which is the same thing, one day after every six. This command, as well as the rest, is doubtless everlasting and of perpetual obligation, at least as to the substance of it, as is intimated by its being engraven on the tables of stone. Nor is it to be thought that Christ ever abolished any command of the ten, but that there is the complete number ten yet, and will be to the end of the world. Some say, that the fourth command is perpetual, but not in its literal sense: not as designing any particular proportion of time to be set apart and devoted to literal rest and religious exercises. They say that it stands in force only in a mystical sense, viz. as that weekly rest of the Jews typified spiritual rest in the Christian church, and that we under the gospel are not to make any distinction of one day from another, but are to keep all time holy, doing everything in a spiritual manner. But this is an absurd way of interpreting the command, as it refers to Christians. For if the command be so far abolished, it is entirely abolished. For it is the very design of the command, to fix the time of worship. The first command fixes the object, the second the means, the third the manner, the fourth the time. And if it stands in force now only as signifying a spiritual, Christian rest, and holy behavior at all times, it does not remain as one of the ten commands, but as a summary of all the commands. The main objection against the perpetuity of this command is that the duty required is not moral. Those laws whose obligations arises from the nature of things and from the general state and nature of mankind, as well as from God’s positive revealed will, are called moral laws. Others, whose obligation depends merely upon God’s positive and arbitrary institution, are not moral: such as the ceremonial laws, and the precepts of the gospel about the two sacraments. Now, the objectors say, they will allow all that is moral in the decalogue to be of perpetual obligation. But this command, they say, is not moral. 2. As we have observed already, the thing in general that there should be certain fixed parts of time set apart to be devoted to religious exercises, is founded in the fitness of the thing, arising from the nature of things, and the nature and universal state of mankind. Therefore, there is as much reason that there should be a command of perpetual and universal obligation about this, as about any other duty whatsoever. For if the thing in general, that there be a time fixed, be founded in the nature of things, there is consequent upon it a necessity, that the time be limited by a command. For there must be a proportion of time fixed, or else the general moral duty cannot be observed. 3. The particular determination of the proportion of time in the fourth commandment, is also founded in the nature of things, only our understandings are not sufficient absolutely to determine it of themselves. We have observed already that without doubt one proportion of time is in itself fitter than another, and a certain continuance of time fitter than any other, considering the universal state and nature of mankind, which God may see, though our understandings are not perfect enough absolutely to determine it. So that the difference between this command and others, does not lie in this (that other commands are founded in the fitness of the things themselves, arising from the universal state and nature of mankind, and this not), but only that the fitness of other commands is more obvious to the understandings of men, and they might have seen it of themselves. But this could not be precisely discovered and positively determined without the assistance of revelation. So that the command of God, that every seventh day should be devoted to religious exercises, is founded in the universal state and nature of mankind, as well as other commands. Only man’s reason is not sufficient, without divine direction, so exactly to determine it. Though perhaps man’s reason is sufficient to determine that it ought not to be much seldomer, nor much oftener, than once in seven days. Seventh, a further argument for the perpetuity of the Sabbath, we have in Mat. 24:20, “Pray ye that your flight be not in the winter, neither on the sabbath-day.” Christ is here speaking of the flight of the apostles and other Christians out of Jerusalem and Judea, just before their final destruction, as is manifest by the whole context, and especially by the 16th verse, “Then let them which be in Judea flee into the mountains.” But this final destruction of Jerusalem was after the dissolution of the Jewish constitution, and after the Christian dispensation was fully set up. Yet, it is plainly implied in these words of our Lord, that even then Christians were bound to a strict observation of the Sabbath. Thus I have shown that it is the will of God that every seventh day be devoted to rest and to religious exercises. II. Prop. That it is the will of God that under the gospel dispensation, or in the Christian church, this day should be the first day of the week. In order to the confirmation of this, let the following things be considered. First, the words of the fourth commandment afford no objections against this being the day that should be the Sabbath, any more than against any other day. That this day, which according to the Jewish reckoning, is the first of the week, should be kept as a Sabbath, is no more opposite to any sentence or word of the fourth command, than that the seventh of the week should be the day. The words of the fourth command do not determine which day of the week we should keep as a Sabbath. They merely determine, that we should rest and keep as a Sabbath every seventh day, or one day after every six. It says, “Six days thou shalt labour, and the seventh thou shalt rest;” which implies no more, than that after six days of labour, we shall upon the next to the sixth, rest and keep it holy. And this we are obliged to do forever. But the words no way determine where those six days shall begin, and so where the rest or Sabbath shall fall. There is no direction in the fourth command how to reckon the time, i.e. where to begin and end it. But that is supposed to be determined otherwise. The Jews did not know, by the fourth command, where to begin their six days, and on which particular day to rest: this was determined by another precept. The fourth command does indeed suppose a particular day appointed; but it does not appoint any. It requires us to rest and keep holy a seventh day, one after every six of labor, which particular day God either had or should appoint. The particular day was determined for that nation in another place, viz. in Exo. 16:23-26, “And he said unto them, this is that which the Lord hath said, Tomorrow is the rest of the holy sabbath unto the Lord: bake that which ye will bake, today, and seethe that ye will seethe; and that which remaineth over, lay up for you to be kept until the morning. And Moses said, Eat that today; for today is a sabbath unto the Lord: today ye shall not find it in the field. Six days ye shall gather it; but on the seventh day, which is the sabbath, in it there shall be none.” This is the first place where we have any mention made of the Sabbath, from the first Sabbath on which God rested. But they never would have known where the particular day would have fallen by the fourth command. Indeed, the fourth command, as it was spoken to the Jews, did refer to their Jewish Sabbath. But that does not prove that the day was determined and appointed by it. The precept in the fourth command is to be taken generally of such a seventh day as God should appoint, or had appointed. And because such a particular day had been already appointed for the Jewish church, therefore, as it was spoken to them, it did refer to that particular day. But this does not prove, but the same words refer to another appointed seventh day, now in the Christian church. The words of the fourth command may oblige the church, under different dispensations, to observe different appointed seventh days, as well as the fifth command may oblige different persons to honor different fathers and mothers. The Christian Sabbath, in the sense of the fourth command, is as much the seventh day as the Jewish Sabbath, because it is kept after six days of labor as well as that. It is the seventh reckoning from the beginning of our first working-day, as well as that was the seventh from the beginning of their first working day. All the difference is that the seven days formerly began from the day after God’s rest from the creation, and now they begin the day after that. It is no matter by what names the days are called: if our nation had, for instance, called Wednesday the first day of the week, it would have been all one as to this argument. Therefore, by the institution of the Christian Sabbath, there is no change from the fourth command; but the change is from another law, which determined the beginning and ending of their working days. So that those words of the fourth command, viz. “For in six days the Lord made heaven and earth, the sea, and all that in them is, and rested the seventh day; wherefore the Lord blessed the sabbath-day, and hallowed it.” These words are not made insignificant to Christians, by the institution of the Christian Sabbath. They still remain in their full force as to that which is principally intended by them. They were designed to give us a reason why we are to word but six days at a time, and then rest on the seventh, because God has set us the example. And taken so, they remain still in as much force as ever they were. This is the reason still, as much as ever it was, why we may work but six days at a time. What is the reason that Christians rest every seventh, and not every eighth, or every ninth, or tenth day? It is because God worked six days and rested the seventh. So that all the arguments of those who are against the Christian Sabbath, drawn from the fourth command, which are all their strength, come to nothing. Second, that the ancient church was commanded to keep a seventh day in commemoration of the work of creation, is an argument for the keeping of a weekly Sabbath in commemoration of the work of redemption, and not any reason against it. We read in Scripture of two creations, the old and the new, and these words of the fourth command are to be taken as of the same force to those who belong to the new creation, with respect to that new creation as they were to those who belonged to the old creation, with respect to that. We read that “in the beginning God created the heaven and the earth,” and the church of old were to commemorate that work. But when God creates a new heaven and a new earth, those that belong to this new heaven and new earth, by a like reason, are to commemorate the creation of their heaven and earth. The Scriptures teach us to look upon the old creation as destroyed, and as it were annihilated by sin; or, as being reduced to a chaos again, without form and void, as it was at first. Jer. 4:22, 23, “They are wise to do evil, but to do good they have n knowledge. I beheld the earth, and lo, it was without form and void: and the heavens, and they had no light!” i.e. were reduced to the same state in which they were at first; the earth was without form and void, and there was no light, but darkness was upon the face of the deep. The Scriptures further teach us to call the gospel-restoration and redemption, a creation of a new heaven and a new earth; Isa. 65:17, 18, “For behold, I create new heavens, and a new earth; and the former shall not be remembered, nor come into mind. But be you glad and rejoice forever in that which I create: for behold, I create Jerusalem a rejoicing, and her people a joy.” And Isa. 51:16, “And I have put my words in thy mouth, and have covered thee in the shadow of mine hand, that I may plant the heavens, and lay the foundations of the earth, and say unto Zion, Thou art my people.” And Isa. 66:22, “For as the new heavens and the new earth which I will make,” etc. — In these places we are not only told a new creation, or new heavens and a new earth, but we are told what is meant by it, viz. The gospel renovation, the making of Jerusalem a rejoicing, and her people a joy, saying unto Zion, “Thou art my people,” etc. The prophet, in all these places, is prophesying of the gospel-redemption. The gospel-state is everywhere spoken of as a renewed state of things, wherein old things are passed away, and all things become new: we are said to be created unto Christ Jesus unto good works. All things are restored and reconciled whether in heaven or in earth, and God has caused light to shine out of darkness, as he did at the beginning. And the dissolution of the Jewish state was often spoken of in the Old Testament as the end of the world. — But we who belong to the gospel-church, belong to the new creation. Therefore there seems to be at least as much reason that we should commemorate the work of this creation, as that the members of the ancient Jewish church should commemorate the work of the old creation. 1. To look upon Christ’s rest from his work of redemption, as parallel with God’s rest from the work of creation. For they are expressly compared together, as parallel one with the other. 2. They are spoken of as parallel, particularly in this respect, viz. the relation which they both have to the keeping of a Sabbath among God’s people, or with respect to the influence which these two rests have as to sabbatizing in the church of God. For it is expressly with respect to this that they are compared together. Here is an evident reference to God’s blessing and hallowing the day of his rest from the creation to be a Sabbath, and appointing a Sabbath of rest in imitation of him. For the apostle is speaking of this, verse 4, “For he spake in a certain place of the seventh day on this wise, And God did rest the seventh day from all his works.” Thus far is evident, whatever the apostle has respect to by this keeping of a Sabbath by the people of God: whether it be a weekly sabbatizing on earth or a sabbatizing in heaven. 3. It is evident in these words that the preference is given to the latter rest, viz. the rest of our Savior from his works, with respect to the influence it should have or relation it bears, to the sabbatizing of the people of God, now under the gospel, evidently implied in the expression, “There remaineth therefore a sabbatism to the people of God. For he that entered into his rest,” etc. For in this sabbatism appointed in remembrance of God’s rest from the work of creation, does not remain, but ceases, and that this new rest, in commemoration of Christ’s resting from his works, remains in the room of it. Fourth, the Holy Ghost has implicitly told us that the Sabbath which was instituted in commemoration of the old creation, should not be kept in gospel-times. Isa. 65:17, 18. There we are told that when God should create new heavens and a new earth, the former should not be remembered, nor come into mind. If this be so, it is not to be supposed that we are to keep a seventh part of time, on purpose to remember it, and call it to mind. Let us understand this which way we will, it will not be well consistent with the keeping of one day in seven, in the gospel-church, principally for the remembrance and calling to mind of the old creation. If the meaning of the place be only this — that the old creation shall not be remembered nor come into mind in comparison with the new, that the new will be so much more remarkable and glorious, will so much more nearly concern us, so much more notice will taken of it, and it will be thought so much more worthy to be remembered and commemorated, that the other will not be remembered, nor come into mind — it is impossible that it should be more to our purpose. For then hereby the Holy Ghost teaches us, that the Christian church has much more reason to commemorate the new creation than the old; insomuch, that the old is worthy to be forgotten in comparison with it. And as the old creation was no more to be remembered, nor come into mind; so, in the following verse, the church is directed forever to commemorate the new creation, “But be you glad, and rejoice for ever in that which I create; for behold, I create Jerusalem a rejoicing, and her people a joy;” i.e. Though you forget the old, yet forever to the end of the world, keep a remembrance of the new creation. Fifth, it is an argument that the Jewish Sabbath was not to be perpetual, that the Jews were commanded to keep it in remembrance of their deliverance out of Egypt. One reason why it was instituted was because God thus delivered them, as we are expressly told, Deu. 5:15, “And remember that thou wast a servant in the land of Egypt, and that the Lord thy God brought thee out thence, through a mighty hand, and by a stretched-out arm: therefore the Lord thy God commanded thee to keep the sabbath-day.” Now can any person think that God would have all nations under the gospel, and to the end of the world, keep a day every week, which was instituted in remembrance of the deliverance of the Jews out of Egypt? Sixth, the Holy Ghost has implicitly told us that instituted memorials of the Jews’ deliverance from Egypt should be no longer upheld in gospel-times, Jer. 16:14-15. The Holy Ghost, speaking of gospel-times, says, “Therefore, behold the days come, saith the Lord, that it shall no more be said, The Lord liveth that brought up the children of Israel out of Egypt; but the Lord liveth that brought up the children of Israel from the land of the north, and from all the lands whither he had driven them; and I will bring them again into their own land.” They shall no more say, The Lord liveth that brought, etc. i.e. at least they shall keep up no more any public memorials of it. If there be a Sabbath kept up in gospel-times, as we have shown there must be it is more just from these words to suppose that it should be as a memorial of that which is spoken of in the latter verse, the bringing up of the children of Israel from the land of the north: that is the redemption of Christ and his bringing home the elect, not only from Judea, but from the north, and from all quarters of the world. — See Isa. 43:16-20. Seventh, it is no more than just to suppose that God intended to intimate to us that the Sabbath ought by Christians to be kept in commemoration of Christ’s redemption, in that the Israelites were commanded to keep it in remembrance of their deliverance out of Egypt, because that deliverance out of Egypt is an evident, known, and allowed type of it. It was ordered of God, on purpose to represent it. Everything about that deliverance was typical of this redemption, and much is made of it, principally for this reason: because it is so remarkable a type of Christ’s redemption. And it was but a shadow, the work in itself was nothing in comparison with the work of redemption. What is a petty redemption of one nation from a temporal , to the eternal salvation of the whole church of the elect in all ages and nations, from eternal damnation and the introduction of them, not into a temporal Canaan, but into heaven: into eternal glory and blessedness? Was that shadow so much to be commemorated as that a day once a week was to be kept on the account of it, and shall not we much more commemorate that great and glorious work of which it was designed on purpose to be a shadow. As the words in the preface to the ten commandments, about the bringing of the children of Israel out of Egypt, are interpreted in our catechism (and as they have respect to us): [they] must be interpreted [as being] of our spiritual redemption. So, by an exact identity of reason, must these words in Deuteronomy, annexed to the fourth command, be interpreted [as] of the same gospel redemption. The Jewish Sabbath was kept on the day that the children of Israel came up out of the Red sea. For we are told in Deu. 5:15, that this holy rest of the Sabbath was appointed in commemoration of their coming up out of Egypt. But the day of their going through the Red sea was the day of their coming up out of Egypt. For till then they were in the land of Egypt. The Red sea was the boundary of the land of Egypt. — The Scripture itself tells us that the day on which they sung the song of Moses, was the day of their coming up out of the land of Egypt; Hos. 2:15, “And she shall sing there, as in the days of her youth, as in the day when she came up out of the land of Egypt;” referring plainly to that triumphant song which Moses and the children of Israel sang when they came up out of the Red sea. The Scripture tells us that God appointed the Jewish Sabbath in commemoration of the deliverance of the children of Israel from their task-masters, the Egyptians, and of their rest from their hard and slavery under them; Deu. 5:14, 15, “That thy man-servant and thy maid-servant may rest as well as thou. And remember that thou wast a servant in the land of Egypt, and that the Lord thy God brought thee out thence, through a mighty hand, and by a stretched-out arm: therefore the Lord thy God commanded thee to keep the sabbath-day.” But the day that the children of Israel were delivered from their task-masters and had rest from them, was the day when the children of Israel came up out of the Red Sea. They had no rest from them till then. For though they were before come forth on their journey to go out of the land of Egypt, yet they were pursued by the Egyptians and were exceedingly perplexed and distressed. But on the morning that they came up out of the Red sea, they had complete and final deliverance. Then they had full rest from their taskmasters. Then God said to them, “The Egyptians which ye have seen this day, ye shall see no more for ever;” Exo. 14:13. Then they enjoyed a joyful day of rest, a day of refreshment. Then they sang the song of Moses, and on that day was their Sabbath of rest. But this coming up of the children of Israel out of the Red sea, was only a type of the resurrection of Christ. That people was the mystical body of Christ, and Moses was a great type of Christ himself. And besides, on that day Christ went before the children of Israel in the pillar of cloud and of fire, as their Savior and Redeemer. On that morning Christ, in this pillar of cloud and fire, rose out of the Red sea, as out of great waters, which was a type of Christ’s rising from a state of death and from that great humiliation which he suffered in death. The resurrection of Christ from the dead, is in Scripture represented by his coming up out of deep waters. So it is in Christ’s resurrection, as represented by Jonah’s coming out of the sea, Mat. 12:40. It is also compared to a deliverance out of deep waters, Psa. 69:1-3, 14, and 15. These things are spoken of Christ, as is evident from this, that many things in this Psalm are in the New Testament expressly applied to Christ. [Compare verse 4 with John 15:25, verse 9 with John 2:17, and verse 2 with Mat. 27:34, 48; Mark 15:23; John 19:29, and verse 2, with Rom. 11:9, 10, and verse 25 with Acts 1:20.] Therefore, as the Jewish Sabbath was appointed on the day on which the pillar of cloud and fire rose out of the Red sea, and on which Moses and the church, the mystical body of Christ, came up out of the same sea, which is a type of the resurrection of Christ — it is a great confirmation that the Christian Sabbath should be kept on the day of the rising of the real body of Christ from the grave, which is the antitype. For surely the Scriptures have taught us that the type should give way to the antitype, and that the shadow should give way to the substance. Eighth, I argue the same thing from Psa. 118:22-24. There we are taught that the day of Christ’s resurrection is to be celebrated with holy joy by the church. “The stone which the builders refused is become the head-stone of the corner. This is the Lord’s doing, it is marvellous in our eyes. This is the day which the Lord hath made, we will rejoice and be glad in it.” The stone spoken of is Christ: he was refused and rejected by the builders, especially when he was put to death. That making him the head of the corner, which is the Lord’s doing and so marvelous in our eyes, is Christ’s exaltation, which began with his resurrection. While Christ lay in the grave, he lay as a stone cast away by the builders. But when God raised him from the dead, then he became the head of the corner. Thus it is evident the apostle interprets it, Acts 4:10, 11, “Be it known unto you all, and to all the people of Israel, that by the name of Jesus of Nazareth, whom ye crucified, whom God raised from the dead,” etc. — “This is the stone which was set at nought by you builders, which is become the head of the corner.” And the day on which this was done, we are here taught, God has made to be the day of the rejoicing of the church. Ninth, the abolition of the Jewish Sabbath seems to be intimated by this: that Christ, the Lord of the Sabbath, lay buried on that day. Christ, the author of the world, was the author of that work of creation of which the Jewish Sabbath was the memorial. It was he that worked six days and rested the seventh day from all his works, and was refreshed. Yet he was holden in the chains of death on that day. — God, who created the world, now in his second work of creation, did not follow his own example, if I may so speak. He remained imprisoned in the grave on that day and took another day to rest in. The Sabbath was a day of rejoicing, for it was kept in commemoration of God’s glorious and gracious works of creation and the redemption out of Egypt. Therefore we are directed to call the Sabbath a delight. But it is not a proper day for the church, Christ’s spouse, to rejoice, when Christ the bridegroom lies buried in the grave, as Christ says, Mat. 9:15, “That the children of the bridechamber cannot mourn, while the bridegroom is with them. But the time will come, when the bridegroom shall be taken from them; then shall they mourn.” — While Christ was holden under the chains of death, then the bridegroom was taken from then. Then it was a proper time for the spouse to mourn and not rejoice. But when Christ rose again, then it was a day of joy, because we are begotten again to a living hope, by the resurrection of Jesus Christ from the dead. Tenth, Christ has evidently, on purpose and design, peculiarly honored the first day of the week, the day on which he rose from the dead, by taking it from time to time to appear to the apostles, and he chose this day to pour out the Holy Ghost on the apostles, which we read of in the second chapter of Acts. For this was on Pentecost, which was on the first day of the week, as you may see by Lev. 23:15-16. And he honored this day by pouring out his Spirit on the apostle John, and giving him his visions, Rev. 1:10, “I was in the Spirit on the Lord’s day,” etc. — Now doubtless Christ had his meaning in thus distinguishingly honoring this day. Eleventh, it is evident by the New Testament that this was especially the day of the public worship of the primitive church, by the direction of the apostles. We are told that this was the day that they were wont to come together to break bread. And this they evidently did with the approbation of the apostles, inasmuch as they preached to them on that day, and therefore doubtless they assembled together by the direction of the apostles. Acts 20:7, “And upon the first day of the week, when the disciples came together to break bread, Paul preached unto them.” So the Holy Ghost was careful that the public contributions should be on this day, in all the churches, rather than on any other day, as appears by our text. Twelfth, this first day of the week is in the New Testament called the Lord’s day; see Rev. 1:10. — Some say, how do we know that this was the first day of the week? Every day is the Lord’s day. But it is the design of John to tell us when he had those visions. And if by the Lord’s day is meant any day, how does that inform us when that event took place? But what is meant by this expression we know, just in the same way as we know what is the meaning of any word in the original of the New Testament, or the meaning of any expression in an ancient language, viz. By what we find to be the universal signification of the expression in ancient times. This expression, the Lord’s day, is found by the ancient use of the whole Christian church, by what appears in all the writings of ancient times, even from the apostles’ days, to signify the first day of the week. And the expression implies in it the holiness of the day. For doubtless the day is called the Lord’s day, as the sacred supper is called the Lord’s supper, which is so called, because it is a holy supper — which is so called because it is a holy supper, to be celebrated in remembrance of the Lord Christ and of his redemption. So this is a holy day, to be kept in remembrance of the Lord Christ and his redemption. The first day of the week being in Scripture called the Lord’s day, sufficiently makes it out to be the day of the week that is to be kept holy unto God. For God has been pleased to call it by his own name. When anything is called by the name of God in Scripture, this denotes the appropriation of it to God. — Thus God put his name upon his people Israel of old; Num. 6:27, “And they shall put my name upon the children of Israel.” They were called by the name of God, as it is said, 2 Chr. 7:14, “If my people which are called by my name,” etc. i.e. They were called God’s people, or the Lord’s people. This denoted that they were a holy peculiar people above all others. Deu. 7:6, “Thou art a holy people unto the Lord;” and so in verse 14, and many other places. So the city Jerusalem was called by God’s name; Jer. 25:29, “Upon the city which is called by my name.” Dan. 9:18, 19, “And the city which is called by thy name,” etc. This denoted that it was a holy city, a city chosen of God above all other cities for holy uses, as it is often called the holy city, as in Neh. 11:1, “To dwell in Jerusalem, the holy city;” and in many other places. So the temple is said to be a house called by God’s name; 1 Kin. 8:43, “This house that is called by name.” And often elsewhere. That is, it was called God’s house, or the Lord’s house. This denoted that it was called a holy place, a house devoted to holy uses, above all others. So also we find that the first day of the week is called by God’s name, being called in Scripture God’s day, or the Lord’s day, which denotes that it is a holy day, a day appropriated to holy uses, above all others in the week. Thirteenth, the tradition of the church from age to age, though it be no rule, yet may be a great confirmation of the truth in such a case as this is. We find by all accounts that it has been the universal custom of the Christian church, in all ages, even from the age of the apostles, to keep the first day of the week. We read in the writings which remain of the first, second, and third centuries, of the Christians keeping the Lord’s day (and so in all succeeding ages), and there are no accounts that contradict them. — This day has all along been kept by Christians, in all countries throughout the world, and by almost all that have borne the name of Christians, of all denominations, however different in their opinions as to other things. Now, although this be not sufficient of itself without a foundation in Scripture, yet it may be a confirmation of it, because here is really matter of conviction in it to our reason. Reason may greatly confirm truths revealed in the Scriptures. The universality of the custom throughout all Christian counties, in all ages, by what account we have of them, is a good argument that the church had it from the apostles. And it is difficult to conceive how all should come to agree to set up such a custom through the world, of different sects and opinions, and we have no account of any such thing. Fourteenth, it is no way weakening to these arguments, that there is nothing more plainly said about it in the New Testament, till John wrote his Revelation, because there is a sufficient reason to be given for it. In all probability it was purposely avoided by the Holy Spirit, in the first settling of the Christian churches in the world, both among the heathen and among the Jews, but especially for the sake of the Jews, and out of tenderness to the Jewish Christians. For it is evident that Christ and the apostles declared one thing after another to them gradually as they could bear it. The Jews had a regard for their Sabbath above almost anything in the laws of Moses, and there was that in the Old Testament which tended to uphold them in the observance of this, much more strongly than anything else that was Jewish. God had made so much of it, had so solemnly, frequently, and carefully commanded it, and had often so dreadfully punished the breach of it, that there was more color for their retaining this custom than almost any other. Therefore Christ dealt very tenderly with them in this point. Other things of this nature we find very gradually revealed. Christ had many things to say, as we are informed, which yet he said not, because they could not as yet bear them, and gave this reason for it: that it was like putting new wine into old bottles. They were so contrary to their old customs, that Christ was gradual in revealing them. He gave here a little and there a little, as they could bear; and it was a long time before he told them plainly the principal doctrines of the kingdom of heaven. — He took the most favorable opportunities to tell them of his sufferings and death, especially when they were full of admiration at some signal miracle, and were confirmed in it, that he was the Messiah. He told them many things much more plainly after his resurrection than before. But even then, he did not tell them all, but left more to be revealed by the Holy Ghost at Pentecost. They therefore were much more enlightened after that than before. However, as yet he did not reveal all. The abolition of the ceremonial law about meats and drinks was not fully known till after this. The apostles were in the same manner careful and tender of those to whom they preached and wrote. It was very gradually that they ventured to teach them the cessation of the ceremonial laws of circumcision and abstinence from unclean meats. How tender is the apostle Paul with such as scrupled in, in the fourteenth chapter of Romans! He directs those who had knowledge, to keep it to themselves, for the sake of their weak brethren. Rom 14:22 — But I need say no more to evince this. However, I will say this, that it is very possible that the apostles themselves at first might not have this change of the day of the Sabbath fully revealed to them. The Holy Ghost, at his descent, revealed much to them, yet after that, they were ignorant of much of gospel-doctrine. Yea, they were so, a great while after they acted the part of apostles in preaching, baptizing, and governing the church. Peter was surprised when he was commanded to eat meats legally unclean, and so were the apostles in general, when Peter was commanded to go to the Gentiles, to preach to them. Thus tender was Christ of the church while an infant. He did not feed them with strong meat, but was careful to bring in the observance of the Lord’s day by degrees, and therefore took all occasions to honor it: by appearing from time to time of choice on that day, by sending down his Spirit on that day in that remarkable manner at Pentecost, by ordering Christians to meet in order to break bread on that day, and by ordering their contributions and other duties of worships to be holden on it — thus introducing the observance of it by degrees. And though as yet the Holy Ghost did not speak very plainly about it, yet God took special care that there should be sufficient evidences of his will, to be found out by the Christian church, when it should be more established and settled, and should have come to the strength of a man. Thus I leave it with everyone to judge, whether there be not sufficient evidence, that it is the mind and will of God, that the first day of the week should be kept by the Christian church as a Sabbath?